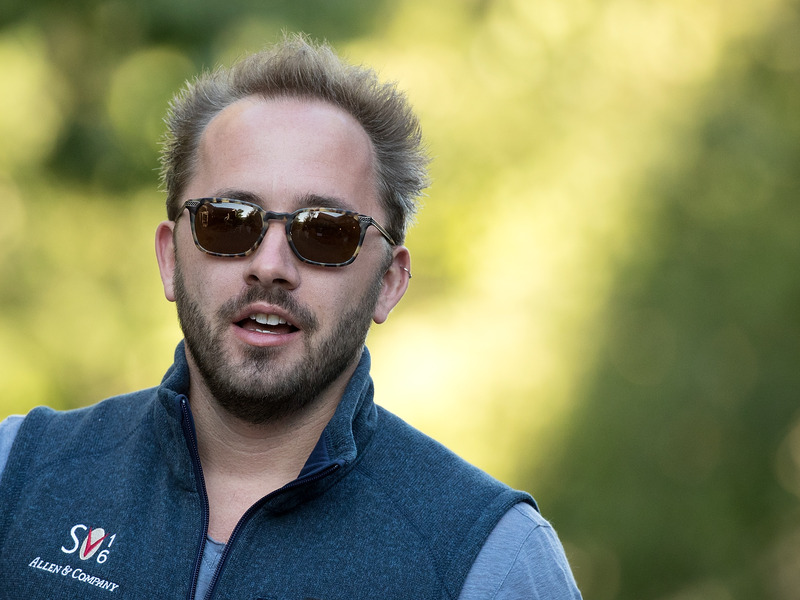 Drew Angerer/Getty ImagesDrew Houston, the founder and CEO of Dropbox, at the annual Allen & Company Sun Valley Conference in 2016 in Sun Valley, Idaho. Dropbox has announced plans to list 36 million shares when it goes public later this year. The company estimated in a filing on Monday that each of those shares would cost $US16 to $US18. That means the company is seeking to raise up to $US648 million, or £467 million, from its public listing. The midpoint of those pricing estimates would value the company at $US7.5 billion. Additionally, the document filed by Dropbox said Salesforce’s ventures arm, Salesforce Ventures, had agreed to buy $US100 million worth of Dropbox stock. The company filed for its initial public offering in February, saying it planned to trade on the Nasdaq under the ticker symbol DBX. The S-1 form that Dropbox filed with the Securities and Exchange Commission showed that the company lost $US111 million on revenue of $US1.1 billion last year.